Jennie Grahl Hunter Shirreff was born in Chatham, New Brunswick in 1864 to John Shirreff and Henrietta Grahl. She trained as a nurse in Boston and worked as an RN at the Victoria General Hospital in Halifax. In 1894, she married businessman Ezra Butler Eddy. Mr. Eddy died in 1906, and Mrs. Eddy became the majority shareholder of the E. B. Eddy Company. After her husband's death, Eddy lived modestly and kept control of the company. 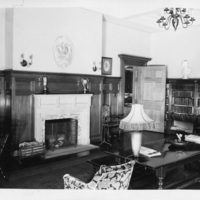 In 1919, R. B. Bennett, a member of the Dalhousie Board of Governors and friend of Eddy's, encouraged her to fund Dalhousie's new women's residence. 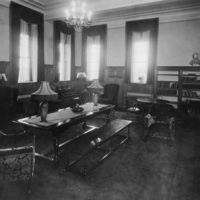 After a 1920 visit by President MacKenzie, she agreed to donate $300,000 to Dalhousie, which was the largest single gift that Dalhousie had ever received. Jennie Shirreff Eddy set standards and conditions for the construction of the new women's residence. 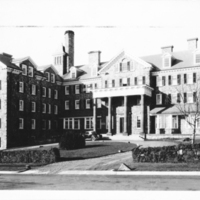 She wanted the building to be named Shirreff Hall, for it to be non-denominational, and for it to be comfortable and civilized for Dallhousie's female students. She requested changes to the architect's initial plans, including study rooms, a larger library, and fireplaces. Jennie Shirreff Eddy passed away on August 9, 1921, Aylmer, Quebec, before Shirreff Hall was completed. Shirreff Hall is a student residence building at Dalhousie University that was built thanks to Jennie Shirreff Eddy's $300,000 donation. 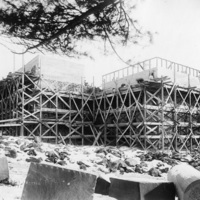 Planning for the building began in 1918 and it was designed by Frank Darling of Toronto and Andrew R. Cobb. In April 1919 the site for the new building was chosen on South Street. 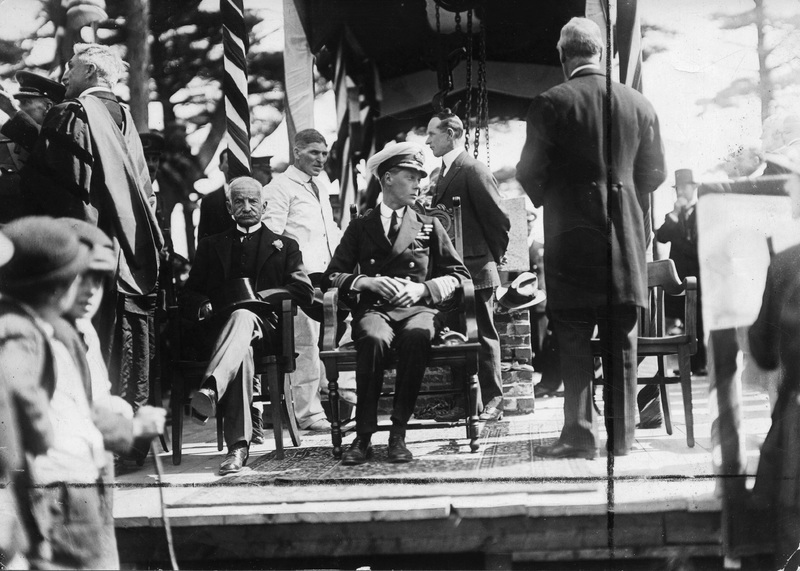 The cornerstone of Shirreff Hall was laid in August 1919 by the Prince of Wales, on a stop along his tour of Canada. 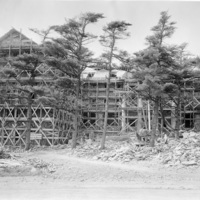 Construction for the 110-capacity building, headed by the university's Master builder Colonel Marshall and contracted to the Hagen & Company Halifax Limited, officially began in the spring of 1921. Shirreff Hall opened in 1923, with 86 women taking up residence. 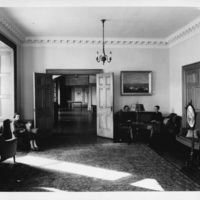 From the time of Shirreff's opening, residence there was mandatory for any young woman coming to Dalhousie from outside of Halifax. In 1957 the federal government announced that the Central Mortgage and Housing Corporation would start awarding grants for university residences. This funding made possible the expansion to Shirreff (the eastern New Eddy wing) that doubled the residence's capacity. In 1967 the five-storey Newcombe wing opened on the west side. Today Shirreff houses 451 students in four wings: New Eddy (1962), Old Eddy (1923), Newcombe (1967) and the Annex (1923). 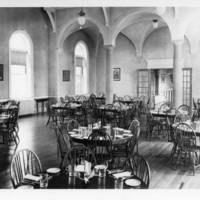 As of September 2005, Shirreff has not been an exclusively women's residence, as New Eddy and Old Eddy introduced co-ed accommodations by floor. 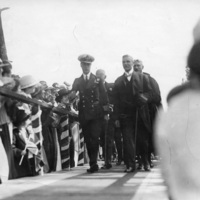 The Prince of Wales at the cornerstone laying ceremony for Shirreff Hall. 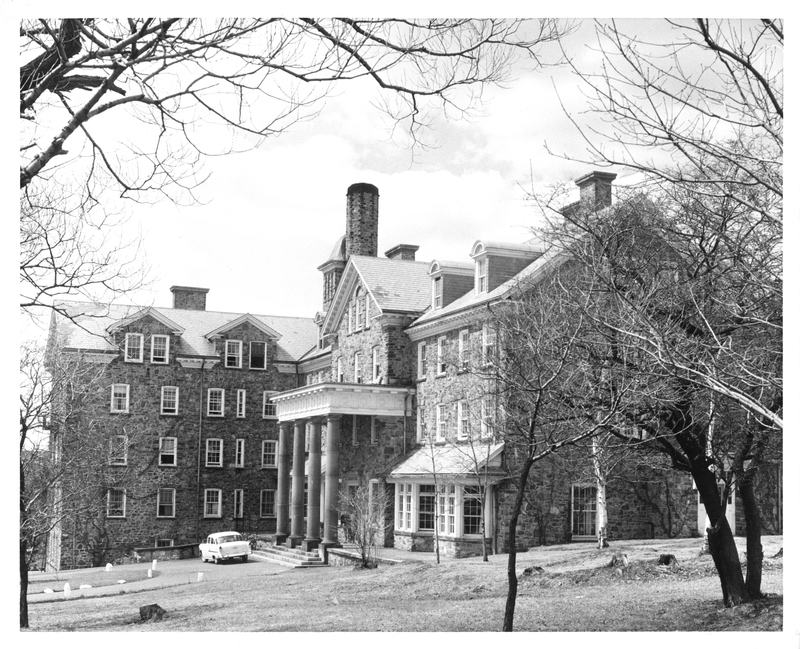 "Shirreff Hall," The Buildings of Dalhousie University, Dalspace. P. B. Waite, “SHIRREFF, JENNIE GRAHL HUNTER (baptized Jane Campbell Hunter) (Eddy),” in Dictionary of Canadian Biography, vol. 15, University of Toronto/Université Laval, 2003–, accessed September 18, 2017, http://www.biographi.ca/en/bio/shirreff_jennie_grahl_hunter_15E.html.